Hello friends, Railway Recruitment Board, RRB has invited applications for filling up 62,907 vacancies in the railways under Group D via its Centralized Employment Notification, CEN 02/2018. The registration for the railways Group D positions would start from today, February 10, 2018 and close on March 12, 2018, at 23:59 Hrs.. 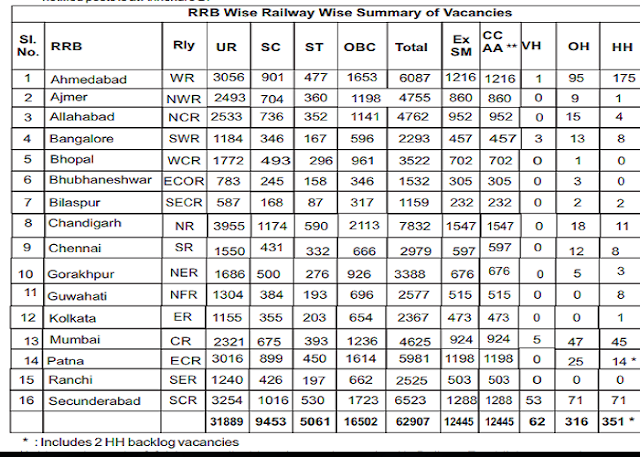 Candidates interested in railways recruitment can fill register on the official website of respective Regional RRBs. The details of the vacancy, eligibility criteria, age limit, selection process and pay scale are provided below. Steps on how to apply are also provided below.